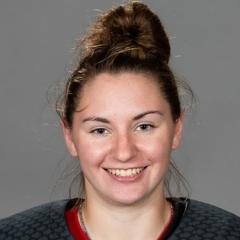 Get the full rosters for all twelve women's hockey teams at the 2019 Canada Winter Games. Read up on every player competing for 2019 Canada Winter Games medals – heights, weights, birthdates and hometowns. 8 Jenny Bessey Forward L 02-02-2001 Labrador City, N.L. 14 Kendra John Forward R 04-25-2001 Appleton, N.L. 1 Rachel Dean Goaltender L 10-20-2003 Clarenville, N.L.